As rents increase with a neighborhood’s desirability, the metropolitan lifestyle becomes inaccessible to millennials and beyond. But Kasita could pave a way for the democratization of urban living, with its modern, movable apartments, which are affordable but comfortable alternatives to conventional luxury apartments. Kasita are creating simple apartment block ‘scaffold shells’, which are easy to build on small lots of urban space generally classified as not developable. Essentially a 208 sq ft box of glass and steel, they can literally be picked up and moved by a truck whenever — users can even do this by requesting a move through the companion app, without dealing with the usual moving stress. Though compact, the apartments comfortable, with smart tech throughout that will control air conditioning, music and bring out the fold-away bed, all by voice recognition. 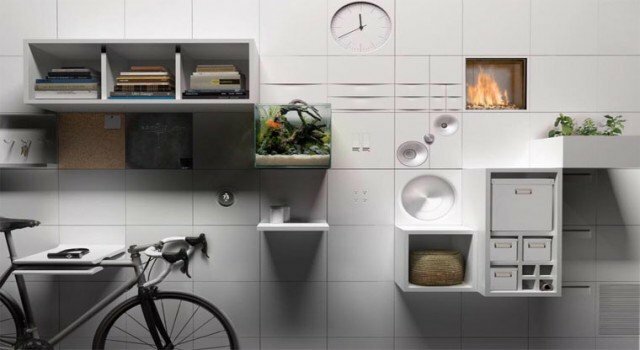 A unique tiling system allows users to customize walls towards their personal storage needs. With Austin, Texas already lined up for the first Kasita homes in 2016, users will soon have a host of other cities across the US and beyond to pitch up whenever they feel like a change of location. Priced at around USD 300 per month, Kasita are redefining what a home can be for an emerging consumer base that prefers location, over large, settled family homes. Could pop-up restaurants take a similar approach? 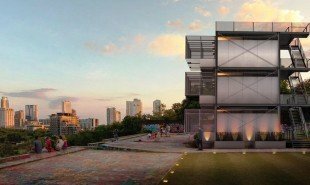 The post Mobile urban apartments let users move to new city via app appeared first on Springwise.